Volker Ippig joined St. Pauli during the late 70s as a trainee. He broke into the first team in 1981 as an 18 year old. He would go on to play over 90 games in both the top and first divisions. He lived in the Hafenstraße squats, and would take time off to fight police in eviction attempts. He also travelled to Nicaragua to join worker construction projects and worked in a nursery for disabled children. Ippig would retire in 1991 following a spine injury during training but would return to St. Pauli in 1999 as a coach. His unorthodox training techniques included homoeopathy, handstands and cartwheels. Unsurprisingly, this ruffled a few feathers and he went on to several other clubs in the Bundesliga. 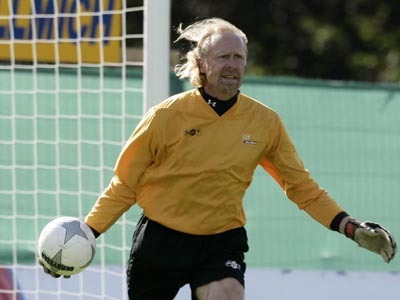 He now runs a mobile goalkeeping school and works as a day labourer on the Hamburg docks. Ippig fought the police, Fabian Boll is one.